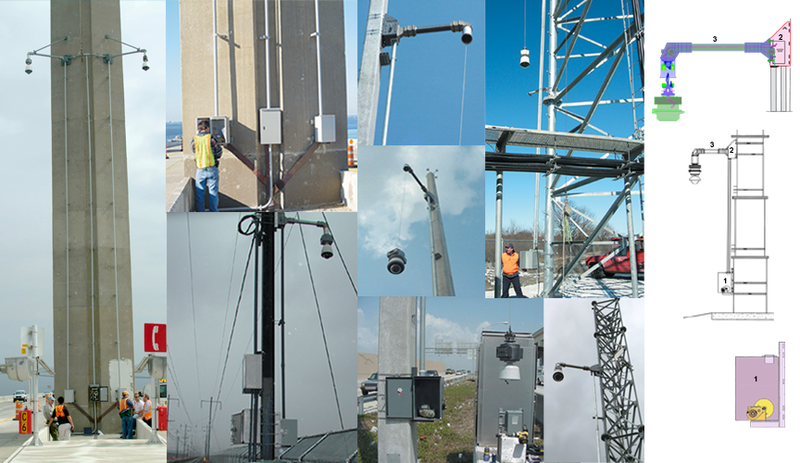 An external system provides a simple solution to add or retrofit a lowering system to existing infrastructure, such as towers, buildings, bridges, spans, and of course existing poles. The lowering device is attached to a customized upper mounting box. The upper mounting box is mounted to the desired height onto the structure via either banding straps, bolting, or welding depending on the application. A bottom box is mounted to the lower portion of the structure to provide access to a permanently mounted winch, or attachment for a portable lowering tool. The upper and bottom box are connected via conduit to provide a raceway for the lowering cable.